Prior to my wedding this year, I spent hours fiddling with Photoshop templates just to print out nice-looking envelopes. 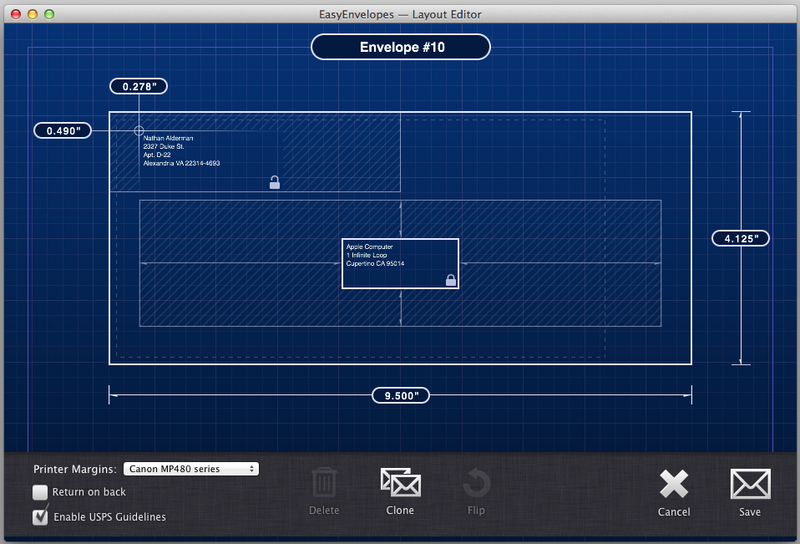 Now I’m kicking myself for not using EasyEnvelopes 1.0.2 (Mac App Store link) instead. You can readily supplement EasyEnvelopes’ preset envelope sizes with your own, assigning custom names and dimensions in its blueprint-mimicking edit mode. It’s smart enough to take care of many things—such as knowing your likely return address—for you. It also offers convenient ways to move that return address to the back flap of the envelope or to print off an entire mailing list from a group in your Contacts. EasyEnvelopes’ well-written help files can guide you through some of its fancier features, like using an image as your return address. I had to fiddle a bit with the margins to get envelopes to print right, and there’s apparently no way to expand addresses’ text areas. 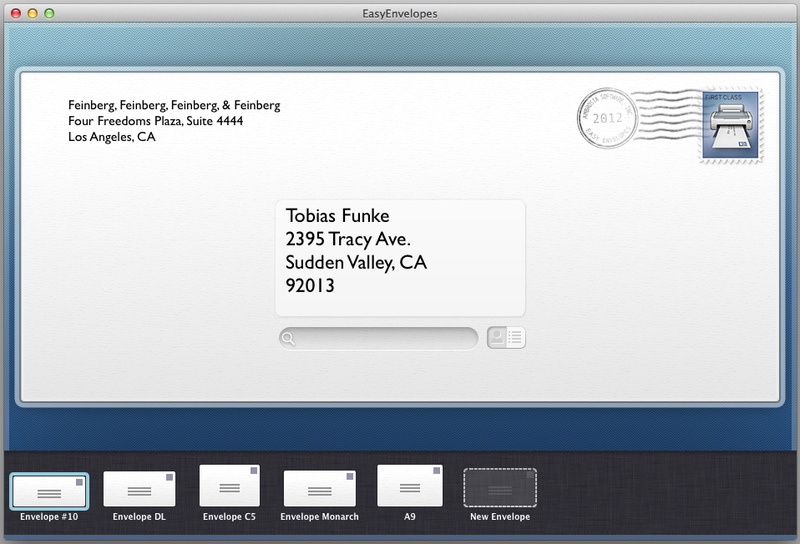 Otherwise, EasyEnvelopes offers an impressive option for anyone with mailings in mind. For printing envelopes, EasyEnvelopes looks great, works superbly, and has terrific help files.